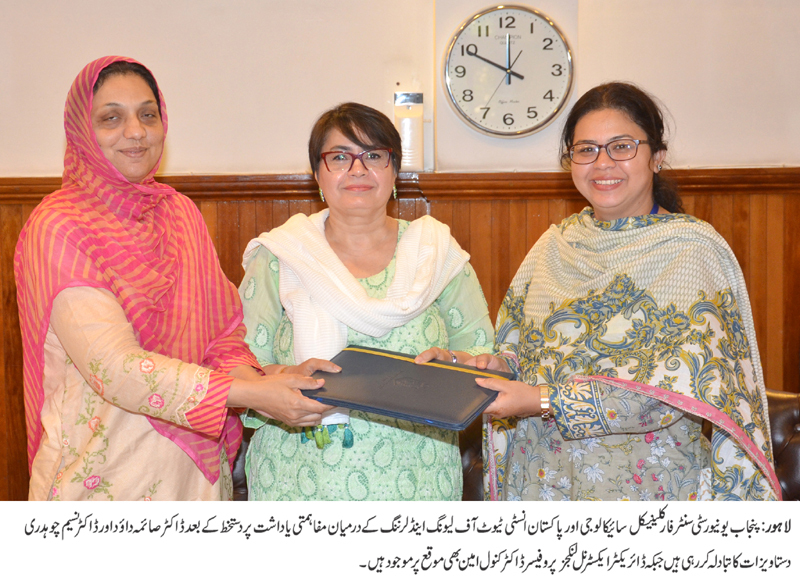 LAHORE: (Friday, August 17, 2018): Punjab University Centre for Clinical Psychology and Pakistan Institute of Living & Learning have signed a memorandum of understanding to collaborate in academic and professional fields. 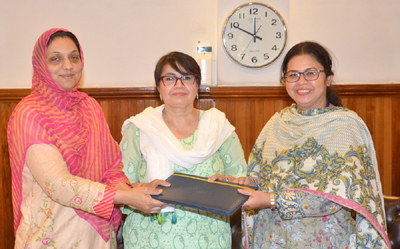 In this regard, an MoU signing ceremony was held at PU Vice Chancellor’s office here on Friday. PU Vice Chancellor Prof Niaz Ahmed, External Linkages Director Prof Dr Kanwal Ameen, CCP Director Dr Saima Dawood, PILL Chief Executive Officer Dr Nasim Chaudhry, Managing Trustee Afshan Qureshi and others were present on the occasion. According to agreement, clinical psychologists for the CCP would provide extensive training to employee at PILL and vice versa and workshops would be organized. Both the institutions would launch joint research projects and strengthen academic exchange. Internship and placement program for the interns of CCP would also be commenced at PILL.